British luxury sports car manufacturer Aston Martin has used 3D printing technology in the production and design of its AM-RB 003 concept car, unveiled at the Geneva Motor Show 2019. AM-RB 003, formerly known as project 003, is Aston Martin’s third mid-engine hypercar, with Red Bull Advanced Technologies involved in the design and engineering of the concept vehicle. It features the use of 3D printed parts to help improve the lightweight properties of the vehicle, and has partly been designed using CAD 3D modelling software. 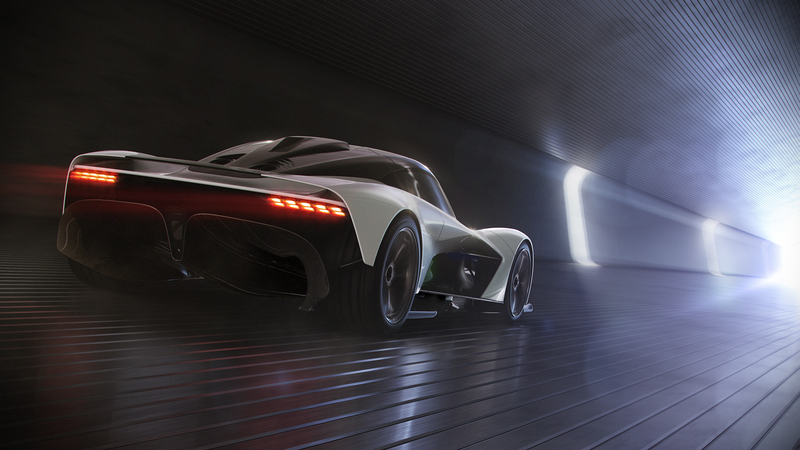 Combining F1 concepts and technology with the fundamental styling and aerodynamics of the Valkyrie, another mid-engine hypercar from Aston Martin, the AM-RB 003 will be limited to 500 coupes worldwide. The concept car shown at the Geneva Motor Show represents 90% of the final production model. The Aston Martin AM-RB 003 hypercar, featuring 3D printed parts. Image via Aston Martin. The AM-RB 003 concept hypercar uses different advanced design and manufacturing techniques, including ‘state-of-the-art’ 3D printing technology, in order to improve the vehicle’s lightweight properties. Specifically, Aston Martin used 3D printing to manufacture both big and small parts within the interior of the vehicle of the car. This includes the centre console, which contains 50% of the mass it would have, had it been constructed with traditional manufacturing processes.